(BPT) – Each year, millions of Americans seek hospital care to treat a wide range of medical problems – from accidental injuries to chronic or life-threatening illnesses. While the majority of patients have positive outcomes, it is imperative to remember patient safety should be a top priority for everyone. In fact, the World Health Organization (WHO) notes patient safety is a serious global public health issue. 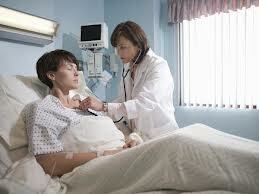 Even in developed countries such as the United States, as many as one in 10 patients may be harmed while hospitalized. Injury rates are even higher in developing countries, making patient safety a high priority around the world. Reminding your care team about hand-washing before any direct interaction. Keeping an eye on intravenous catheters and wound dressings, and notifying your health care provider right away if something looks wrong. Taking charge of health problems such as diabetes, excess weight and smoking, which can increase infection risk in the hospital. Following doctors’ directions about breathing treatments to avoid lung infections. Over the past century, anesthesiologists have advanced patient safety through innovative research, science and technology advancements. Whether in the operating room, procedure room, intensive care unit or pain clinic, anesthesiologists are committed to patient safety. Today, anesthesia-related fatalities only occur in less than one in every 200,000 procedures. To help ensure the highest quality and safest care, anesthesiologists lead Anesthesia Care Teams to supervise non-physician providers during the administration of anesthesia to make critical life decisions when there are only seconds to make them. According to the American Society of Anesthesiologists (ASA), anesthesiologists have more than 10,000 hours of related medical training and education to diagnose, treat and respond to any medical complications that may occur. In addition to making sure a physician supervises your anesthesia care, it is important to follow all pre-operative instructions from your doctors and get plenty of rest before surgery. Also, be sure your anesthesiologist is aware of your prior anesthesia history and any medications you take. For more information about anesthesia and preparing for surgery, please visit LifelinetoModernMedicine.com. While unpredictable progress in recovery is not unusual, it’s important to minimize the risk of avoidable setbacks such as falls and readmissions. Tumbles are a major concern for the elderly, but even younger patients are at risk of falling in the hospital. NPSF often points to research indicating more than 500,000 falls occur in U.S. hospitals each year, causing 150,000 injuries. Muscle weakness, medication-related impairment and age can increase a patient’s risk of falling. Follow your physician’s directions and the hospital’s procedures for surer footing. Before you leave the hospital, make sure you understand the doctor’s after-care instructions to reduce your risk of readmission. Bring any questions or suspicions of complications to follow-up appointments to help your physician assess your recovery. Health care is incredibly intricate and complex, and while medical science has made great strides for patient safety, patients need to play an active role in their care. With diligent research and advocacy for their own health, patients’ collaboration with their care team can make them informed and, most importantly, safe.